Dublin is not just famous for its rich historical heritage. It is also a vibrant city where people have made going out on the town into an art form. On our Bar and Brewery Tours you will sample some of the most traditional pubs and breweries which have a history all of their own. You can sip fabulous pints of Guinness followed by a whiskey chaser in a pub that has kept its character despite the changes afoot in Ireland, with characters at the bar discussing the finer points of life.Or you can sip Mojitos after a fine bottle of Rioja in one of our more happening establishments. Whatever the setting you will sample the atmosphere and vibrancy that are part of what makes the Dublin pub so famous. People are friendly and there is a great selection of music to listen to while you drink. It is not by accident that there are Irish pubs from Cairo to Kansas. Impossible to recreate but no harm in trying! I have selected a number of bars that I believe give a flavour of what the Dublin pub is all about. The Brazen Head : The oldest pub in Dublin (1198!) and frequented down the years by more famous Irishmen than you could shake a stick at. The present building dates from 1688 and has those nice angles of something built without spirit levels. Good music too. 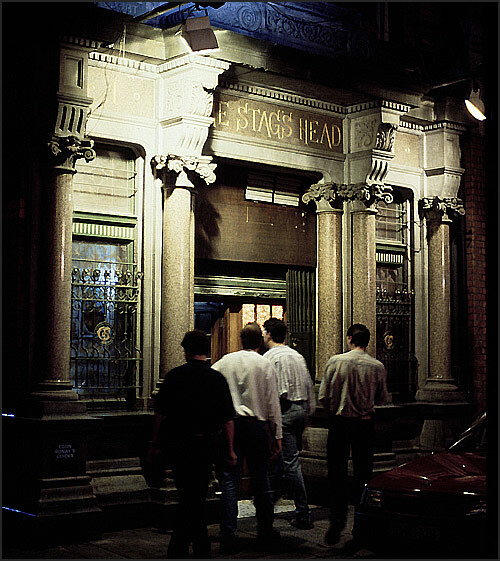 The Stag's Head : A Victorian drinking parlour resplendent with stained glass, chandelliers, carved wooden panneling. You get the picture. The Shelbourne Bar : I included this bar as the Shelbourne Hotel is a Dublin institution that has recently been renovated to a very high standard The hotel itself is worth a visit so it would be rude not to have a drink and bask in the opulence. The very beautiful Stephens Green is across from the hotel and a good place for taking some brisk fresh air. 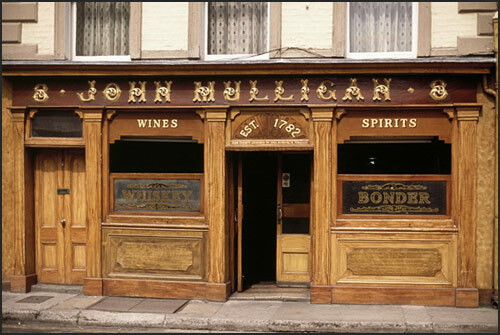 Mulligans : Just the antidote for your Shelbourne experience. Reputedly the best pint of Guinness in Dublin. The decor will not win any prizes but the product does the talking. Old school. The Blue Light/Johnnie Fox's : Leaving the city and heading for the hills. A choice of pubs to choose from, both with excellent views of Dublin. The Blue light is a rough and ready sort of place with a nice character. Frequented by U2 back in the day. Drink pints and gaze down at Dublin. Johnnie Fox's is a more traditional place but has nice food, old world appeal and is a good place to visit. Like the Blue Light, it is set in the hills overlooking Dublin. A mystery pub? Back into town again. Depending on the time, day and weather a suitable end to the tour will be chosen. Something a bit more lively to top off your days adventure. These are only suggestions. If something a bit livelier is what you are after then obviously being a custom tour operator we can accomodate your wishes and provide a more suitable itinerary. 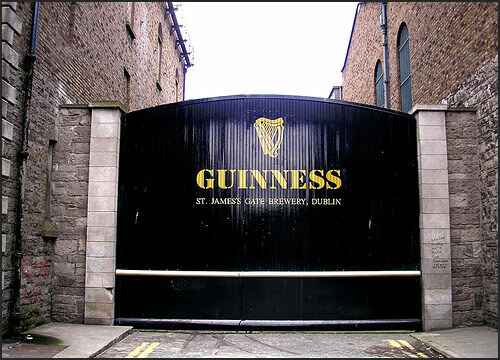 The Guinness Brewery has a proud place in the heart of all Dubliners. Guinness is drunk worldwide in 150 countries, from Jamaica to Japan. Ireland has certainly benefited from this worldwide success and the recognition it brought. A marvellous product, liquid engineering at its best. Founded in 1759 by Arthur Guinness (a crafty character who got a 9000 year lease) the brewery produces 4 million hectolitres (almost 8 million kegs) a year. It was the largest employer in Dublin and paid a good wage with medical care, housing and pensions for the workers. The Guinness family were great benefactors and did much work to alleviate the lot of those living in the slums of Dublin. They also financed restoration projects such as that of St. Patrick's Cathedral and the purchase and subsequent gift to the city of Stephens Green. The Jameson Whiskey Distillery was built in 1780 and is one of the oldest and largest in the world. Take their tour and see how they make 'uisce beatha', the water of life.